Add two grated tomatoes to a spoon of lemon juice and add a pinch of gram flour plus turmeric powder. Mix it well and apply the paste so formed around your eyes. Let it sit there for around 20 minutes and then wash it off. Lemon is popular for its bleaching properties of vitamin C for several things. You need to apply lemon juice with the help of cotton ball around your eyes and after ten minutes wash it off. Do it continuously will help you get the desired results. You simply need to put slices of fresh cucumber or apply the fresh juice of cucumber on your eyes. Allow it to rest there for the entire night and in the morning see the effective results. Almond oil has surprisingly great impact on the skin around your eyes and help you to get rid of the dark circles. All that you are required to do is apply the oil on your dark circles prior to going to bed. Doing this continuously for 2 weeks will give you the desired results and you will see your dark circles fading. Mint leaves have a great soothing effect on your eyes. These are great at helping you get rid of the unwanted dark circles. You simply need to apply the freshly crushed mint leaves to the skin around your eyes. Allow it to sit there for at least 10 minutes and then wipe it off using a clean cloth that is dipped in water that is cold. You can to it once a day whenever you get time. Perfectly blend orange juice with glycerine. Now apply the mixture so formed around the eyes. This will help you get rid of these unwanted dark circles in addition to making your skin have a natural glow. This also makes the skin around your eyes soft. You can do this every time you get time. Ice or say the iced water offers a cooling effect to your eyes. You can simply place an ice pack beneath your eyes for around 30 minutes every morning you wake up. This therapy is known to streamline blood flow and thereby remove the extra osmosis pressure that your eyes experience. You can do this at any hour of the day when you get time. Balanced diet is no doubt a key to almost all your problems. Everything that you eat reflects on your face in one way or the other. Try to include as much green vegetables in your diet as you can. Apart from that, add vitamins as well as fruits in your diet so as to get the desired results. Bananas plus mangoes and not to forget oranges are the fruits that you must have. Other than that spinach, carrots and brinjals are also helpful. Make all of these a part of your daily diet and see the difference. Regular exercise is not directly related to getting rid of those dark circles but in one way or the other are. It helps to improve the circulation of blood in the body and your face. In addition to this, exercising on daily basis also stimulates your breathing thereby leaving your skin fresh. A good sleep at night is known to have a great impact on your dark circles. You must make it a point that you do not over exert yourself and take a good sleep of at least 608 hours. Once you set your sleeping time table right you will begin to notice that the dark circles start getting light. 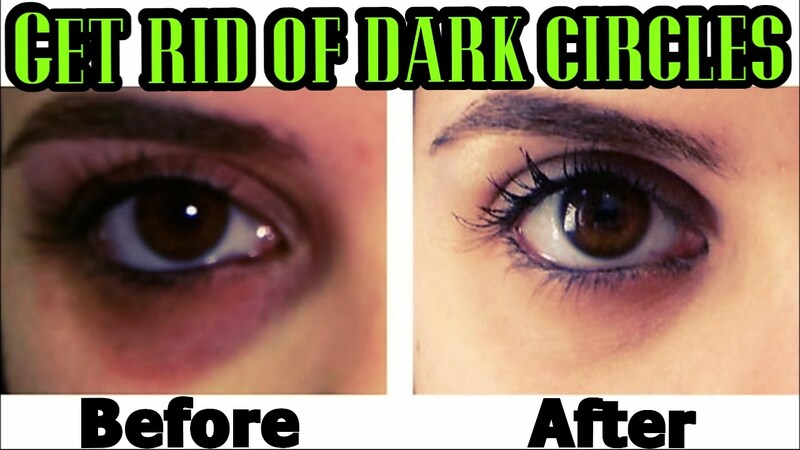 All in all, these are the Top 10 Most Effective Tips To Get Rid Of Dark Circles. If you have more tips to share with us on dealing with the dark circles, then feel free to share them with us via comment section below.